The MJC, today, 8 March 2017 is attending court proceedings regarding the case of the Knysna Muslim community’s battle for the errecting of a Mosque in Knysna. The Knysna Muslim’s request to build a mosque was met with objections from certain quarters and the case is currently underway at the Cape High Court in the Cape Town CBD. MJC First Deputy President and Second Deputy President, Ml. Abdul Khaliq Allie and Shaykh Riad Fataar are currently in court to offer support. MJC former president, Shaykh Ebrahim Gabriels as well as other MJC members were in attendance. 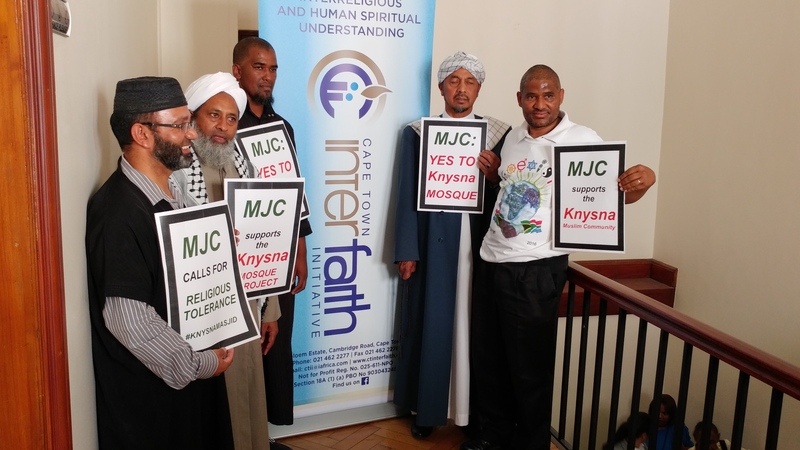 Members of the Western Cape Inter-faith initiative was also in attendance to show support for the Knysna community.